Skally's Old World Bakery is located in Cincinnati, Ohio. 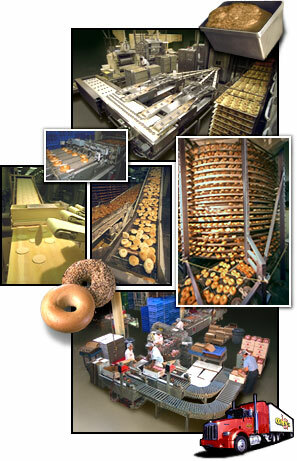 Skally's combines the baking traditions of the old world with modern efficiency. We can meet any order or size, so when you're looking for bagels and pita bread, you can count on Skally's Old World Bakery Products. If you're in the neighborhood, check out Skally's Restaurant. This is probably the best kept secret in Cincinnati and is also part of Old World's facility in North College Hill. Here you can purchase Old World Bakery products and have lunch, too. We think you'll find that along with bagels and pita bread, the Skally's know how to make great gyros and burgers as well. Not to mention the best pizza in town.